Since the infamous Slater sister revelation in Eastenders in 2001, the phrase "Yes I Am" has been synonymous with the closing moments of the show in which Kat tells Zoe she's actually her mother, not her sister. 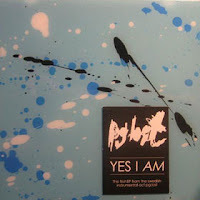 From now on though, it will be connected to the altogether more pleasant experience of PG Lost's melodic and atmospheric EP, Yes I Am. The overall effect is astonishingly dynamic and emotional and it contains myriad references to the most epic moments of The Cure, Feeder, The Early November, Delerious and many, many more. Both 'Kardusen' and 'Fartyget' are incomparably good tracks, reaching out and connecting with the senses with a rare power. This is an awesome album!! !really like pg.lost! !